El apartamento puente de Rialto está situado a unos pasos del puente de Rialto y su famoso mercado, y en menos de 10 minutos a pie de la plaza de San Marcos. El departamento esta en un primer piso de un edificio antiguo veneciano, está completamente renovado, a prueba de sonido, totalmente amueblado y decorado en estilo veneciano. Todo alrededor de la zona hay todo tipo de tiendas, bares, restaurantes, farmacia, la moda, puntos de Internet, iglesias, museos, monumentos, y la verdad los pequeños canales existe la Gondolieri los remos góndola y cantando las canciones venecianas. Esta es el área donde vive la gente venecianas, y donde hacen sus compras. A wonderful apartment in a quiet location, in easy reach of all amenities. This is our second stay at this amazing apartment, and we wouldn't hesitate to stay here again. It is located close to the realto bridge, yet out of the busy streets in a quiet residential corner. The apartment is very comfortable, has everything needed for a relaxing stay, and is decorated and furnished to an exceptionally high standard. The owners, Fabio and Monica are a pleasure to deal with, and do everything possible to ensure their guests enjoy their time in Venice. We were very fortunate to find this lovely accommodation. They were very pleasant to work with. If you had a question they responded immediately. Maria who is there property manager was such a joy to work with. We wanted a grocery store . And boom she said I'll take you there and bring you back to the apt . She was amazing. She truly made our trip so much more enjoyable. Fabio & Monica the owners were great. The apt was clean and a perfect location. Great location close to everything. We had lots of room with a much larger than usual bathroom. Everything was clean and check in was easy. The property is in a great location, and seemed to be newly remodeled. There was a nice mixture of old Venice, and a modern atmosphere. They had both 220 and 110 current available. It’s close to the water taxis, and Rialto Bridge. 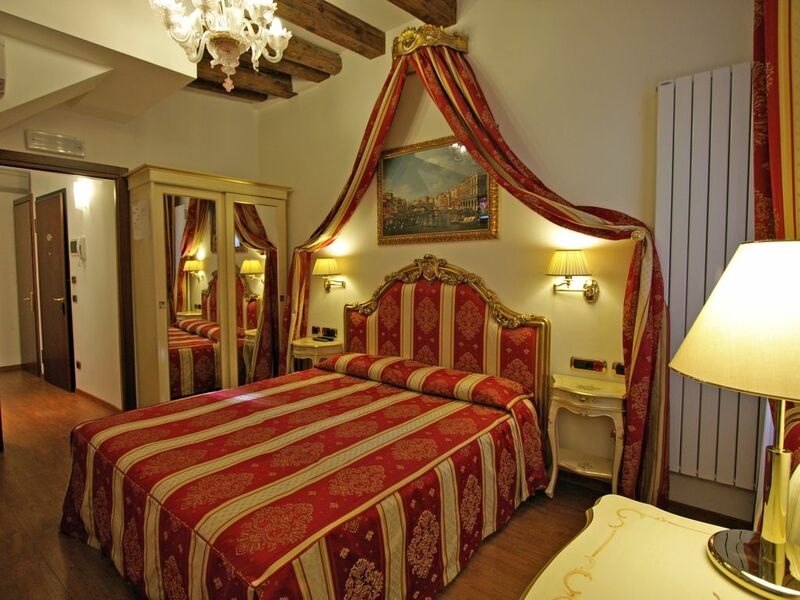 We would certainly recommend this apartment to anyone planning a visit to Venice. Monica was great! Check in was very easy. Directions given my Monica very clear and easy. Building 900 years old. Room is lovely. Breakfast and fresh fruit left our first breakfast. Organising washing and drying was no hassle and they were very good and everything carried out as promised. Very quite. Very convenient easy walk everywhere and great cafes and restaurants everywhere. On our return to Venice this will be the first place we try to book. Rates are subject to change until the reservation it's confirmed. Tax are included and the price listed it's all inclusive. No hidings extras.